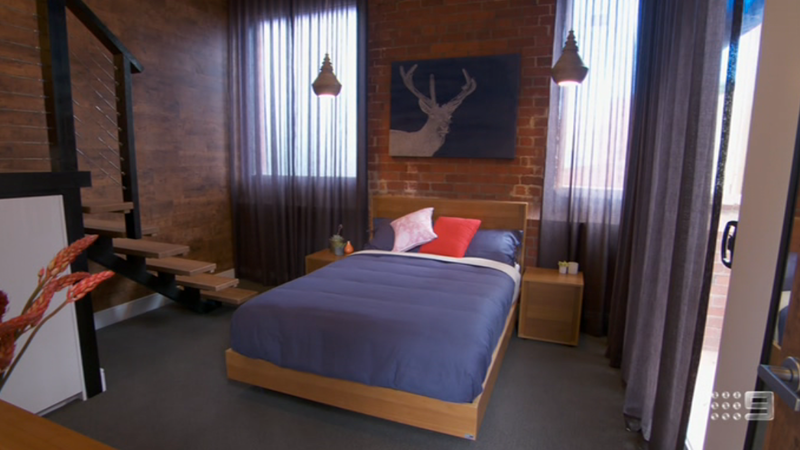 The hugely popular reality television show The Block this season has had the contestants working to the brief of creating a New York style Loft Apartment. Exposed brick walls. This feature it seems, must be incorporated into the design, whether it be as a feature wall or an interesting nook. 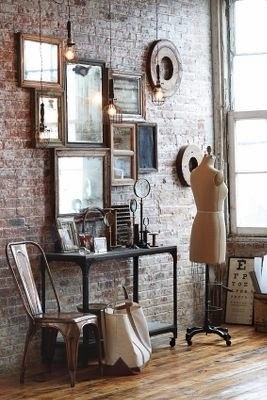 This coupled with vintage industrial styling can be very effective. Ceiling to floor sheers (particularly charcoal coloured). These need to bit fitted into a bulk head and then long enough that they touch the floor. If you take a look through Pinterest you'll find this as a reoccurring style. 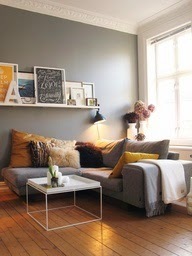 Next you will need a either a light grey or charcoal sofa, upholstered in a linen cloth or similar. Make sure it is a deep seat with plush inviting seats and then set it off with interesting accent scatter cushions. 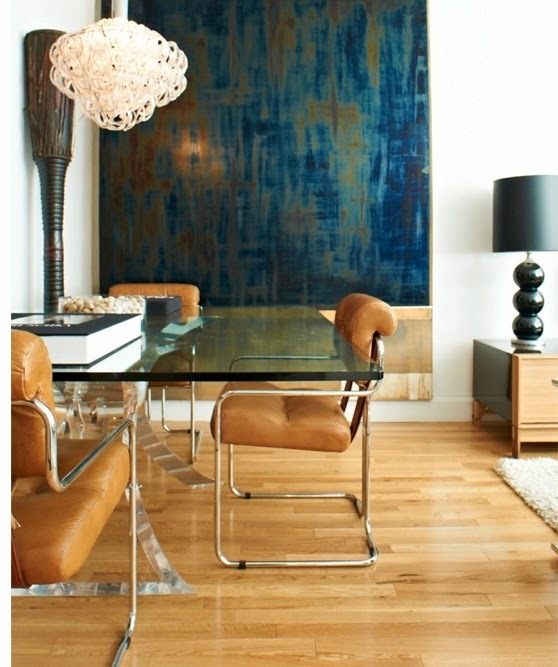 Another feature that can not be over looked is over sized modern artwork. 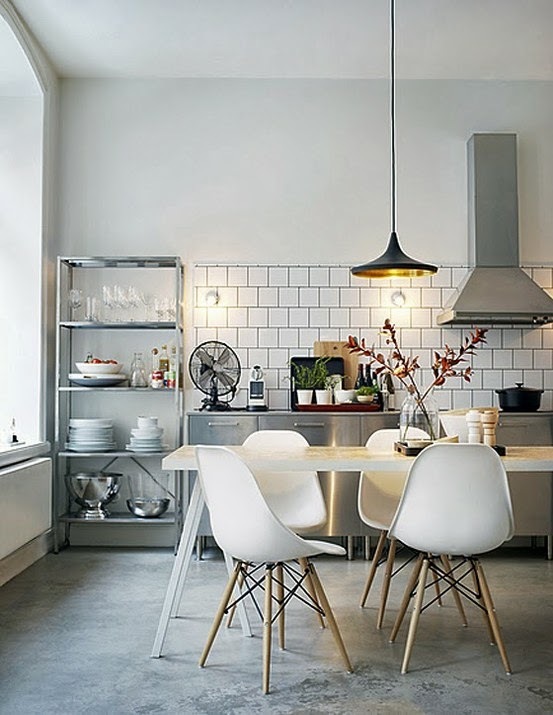 Now add in some mid-century furniture that contrasts to the ultra contemporary furniture in the room add some large pendant lighting and you are well on your path to your own loft style apartment. Oh, I haven't mentioned the use of timber to clad the walls that has been popular on The Block Fans v Faves. 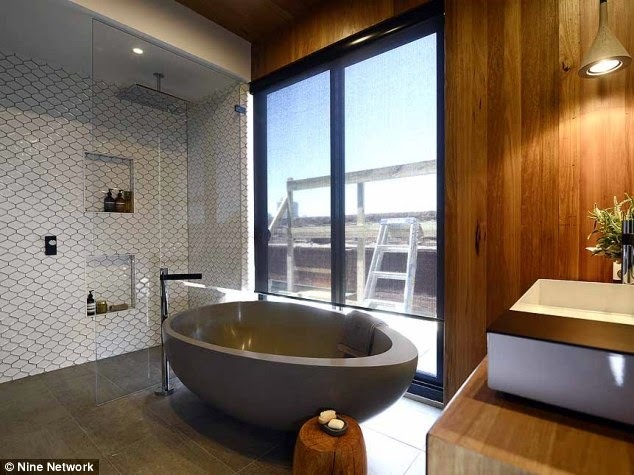 I don't feel that this is particularly a look that I associate with the loft style, but if I stretch myself, I guess the use of raw materials and exposed beams will bring us to this result. If these images aren't credited, you will find the links to their source on my Pinterest page. For this contemporary house the finishes needed to be very strong and crisp. We selected pure white walls and contrasting deep charcoal carpet. There was no architraves, skirting boards or cornices to detract from the pure lines. The window furnishings needed to reflect these details so they were selected as sophisticated charcoal sheers with S fold heading and charcoal roller blinds in a textured cloth with chrome accessories. 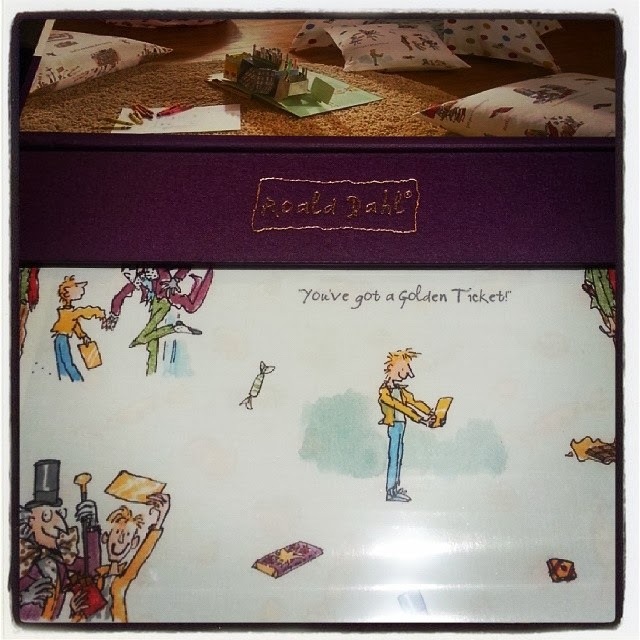 Do you remember the Roald Dahl Novels? Who else has fond memories of Roald Dahl novels? As a child I remember reading his fantastic stories and I have particularly vivid recollections of our grade six teacher reading James and the Giant Peach (and other stories) to the entire class. Mrs Marwood saved reading these books as a reward for being good students and then she would captivate us with her very expressive reading style of the outrageous and imaginative tales. Now as a mother to an early reader, I am revisiting these stories as I read them to my elder son. I very much enjoy reading today and want to foster that love in my boys. When I discovered this new collection of furnishing fabrics yesterday and I was instantly caught up in memories. This range features the drawings I remember by Quentin Blake from various Roald Dahl stories including BFG, The Twits, Fantastic Mr Fox, Charlie and the Chocolate factory etc. 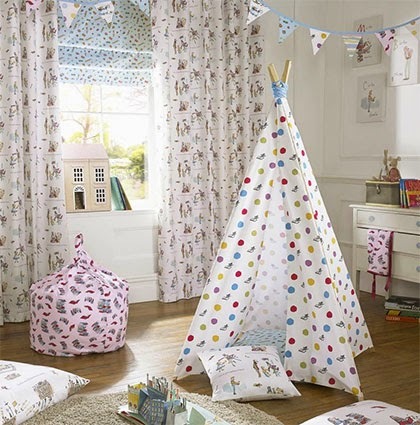 To make this a complete (and versatile furnishing collection) there are striped and spotted fabrics to work back with the Quentin Blake sketches. And just to be practical; the fabrics are reasonably priced. Follow this link to see the full collection. I'd love to know which designs appeal to you. In the lead up to the launch of this new range of rugs designed by Shaynna Blaze in collaboration with The Rug Collection, the designs had been carefully kept secret. So when I went to the launch of the range I really didn't know what to expect (except that I might meet the lady herself and some of the contestants from The Block...which I did! Everyone was very friendly, but I was particularly struck by how genuinely sincere and how good a conversationalist Shaynna was). 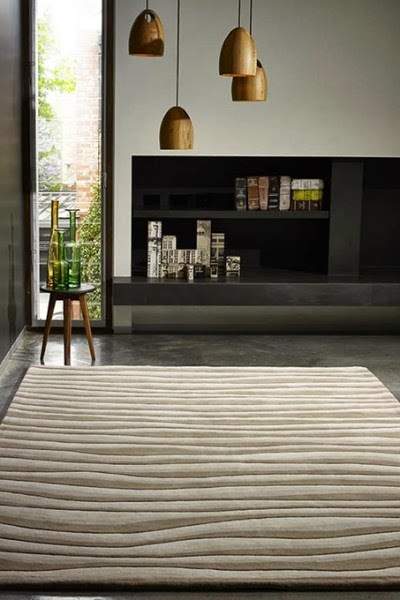 What I discovered at the launch was a collection of six luxuriously thick rugs in a practical neutral colour palette. Shaynna explained how she came to be inspired when she and her husband had escaped for a break to the great ocean road (my stomping ground, so I found it very easy to visualize the concepts Shaynna spoke of). Walking on the beach Shaynna was captivated by the way the ocean carved the sand on the beach and the way the shadows had such depth in the sand dunes as the sun sets. But as well as interpenetrating long views into her designs, Shaynna has included microscopic studies of coral, as very contemporary rugs. I think this range is cleverly designed to be very usable in today's neutral colour palette; the rugs will work back with greys and whites which are very much on trend right now. The wool and artsilk blends have been made to a depth and quality that they have been carved to emphasis the details in the designs. 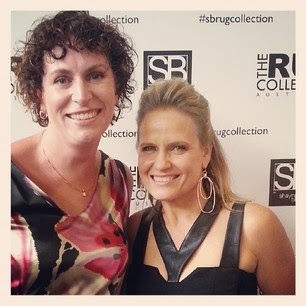 Shaynna spoke of how she wanted rugs that you can take your shoes off and feel the details and quality under foot and it's obvious she has succeeded.